Special clinical interest in breast, prostate, lung, gastrointestinal, head and neck, skin. Dr Craig MacLeod, MBBS, FRANZCR. Craig MacLeod is a radiation oncologist with over 16 years of experience. His particular area of expertise at Royal Price Alfred Hospital, Sydney, was gynaecological malignancy and the use of High Dose Rate Brachytherapy. He was also a lecturer in the Graduate Medical School of Sydney University and the Director of Training of Radiation Oncology Registrars. Craig relocated to Albury-Wodonga in 2000 to run the first inland regional radiation therapy centre and now concentrates his efforts on general radiation therapy practice and is diligent in improving regional cancer services and sits on local and national committees to enhance rural access and quality programs. He has admitting rights to the Murray Valley Hospital and Albury Private Hospital. 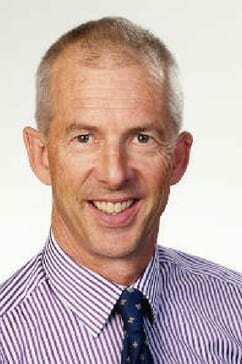 He is also an honorary radiation oncologist at the Wodonga Hospital, Albury Base Hospital, Wangarratta Hospital and Goulburn Valley Base Hospital.